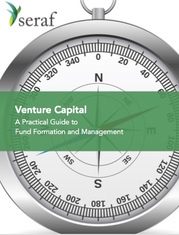 This 170-page book will guide you through how to raise and manage a venture fund. This eBook also includes an appendix with helpful templates, checklists and modeling tools. Interested in purchasing a hard copy version of Venture Capital: A Practical Guide? Buy it now at Amazon.com.